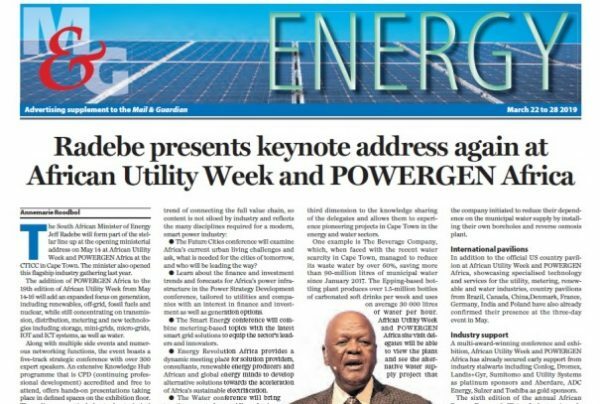 The organisers of African Utility Week and POWERGEN Africa, have announced that they have entered into a media partnership with the weekly news publication and online portal, The Mail & Guardian, in the run-up to the event that is taking place from 14-16 May in Cape Town. The South African Minister of Energy, Honourable Jeff Radebe, is heading up a stellar line up of expert speakers and will once again deliver the opening ministerial address on 14 May. The 19th edition of this leading conference and exhibition is expected to attract more than 10 000 energy and water professionals this year. “The Mail & Guardian brand and tradition is one of quality, no question” says African Utility Week and POWERGEN Africa event director Evan Schiff, “it’s a proudly and quintessentially South African weekly institution of quality, informed and unbiased political analysis, investigative reporting, Southern African news, local arts, music and popular culture. Its pioneering role to migrate its news and content offering to the online space has also been unparalleled. African Utility Week and POWERGEN Africa is proud to be part of the M&G’s special Energy Supplements to reach our target audience in the run-up to the event in May.” International pavilions Apart from the official U.S. country pavilion at African Utility Week and POWERGEN Africa showcasing specialised technology and services for the utility, metering, renewable and water industries, country pavilions from Brazil, Canada, China, Denmark, France, Germany, India, Poland and Russia have also already confirmed their presence at the 3-day event in May. Industry and institutional support A multi-award-winning conference and exhibition, African Utility Week and POWERGEN Africa has already secured early support from industry stalwarts including Conlog, Dromex, GE, Landis+Gyr, SAP, Sumitomo and Utility Systems as platinum sponsors and Aberdare, ADC Energy, Sulzer and Toshiba as gold sponsors. The South . . .
“Whether you want to call it load-shedding, a blackout, load-shifting or load sharing, remember that this affects everyone. We are in this together so join your neighbourhood Whatsapp or Facebook group to stay informed.” So says Nicolette Pombo-van Zyl, editor ESI Africa, a leading energy industry journal. 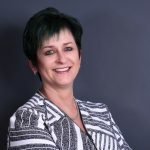 Off the grid “It is not really viable at this stage for the average suburban household to go completely off the grid to avoid the effects of load-shedding” says Mrs Pombo-van Zyl, adding “but, it is possible to develop a back-up plan for when the grid goes down. The ideal option is solar PV but this requires an investment, which will eventually pay off in the long run. One could just invest in a solar water heater system or take the route of rooftop solar with a battery storage unit.” “Back-up generators are also an option, especially for businesses although they can be noisy and cumbersome to set up and prove dangerous for people not familiar with this type of equipment. Another off-grid option is to change to gas for cooking and lighting.” She continues: “some people may think that they are experiencing load-shedding when in actual fact their main has tripped. Invest in battery-operated torches and lighting and regularly check the batteries. Ensure that your mobile phones are charged. 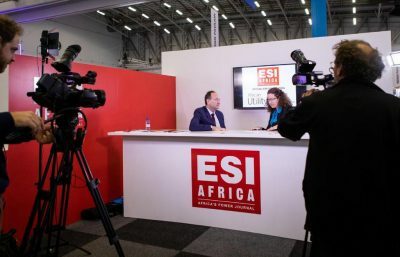 Also be more vigilant when driving as a lot of traffic lights are affected.” ESI Africa at African Utility Week The potential of renewable energy sources such as solar, storage solutions and mini-grid generation projects are some of the exciting focus areas at African Utility Week and POWERGEN Africa taking place from 14-16 May in Cape Town. The South African Minister of Energy, Honourable Jeff Radebe, is heading up a stellar line up of expert speakers and will once again deliver the opening ministerial address on 14 May. The 19th edition of this flagship conference and exhibition is expected to attract more than 10 000 energy and water professionals this year. ESI . . .
A Cape Town bottling plant has managed to reduce its waste water by over 60%, saving more than 90 million litres of municipal water since January 2017. The Epping-based The Beverage Company produces over 1.5 million bottles of carbonated soft drinks per week and uses on average 30 000 litres of water per hour. According to the plant manager David Putterill, last year’s looming Day Zero for water supply in Cape Town had less impact on the business “due to the various actions we took in advance of the crisis. In mid-2016 we started various projects to save water and these are on-going. In the last year we have sustained our water saving so that even though the water restrictions have been partially lifted, we keep the same focus on saving water.” World Water Day, a UN initiative, is celebrated on 22 March every year and focuses on the importance of water and this year’s theme is ‘Leaving no one behind’, adapting the central promise of the 2030 Agenda for Sustainable Development that as sustainable development progresses, everyone must benefit. Water conference in May Water also remains one of the key topics and discussion points at the annual African Utility Week and POWERGEN Africa in Cape Town, where from 14-16 May, the conference will bring together experts from public and private sectors to support municipalities as they become more responsive and efficient in their water practices. 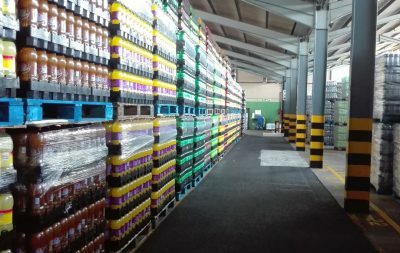 Part of this knowledge exchange are the technical site visits taking place on 17 May, including at The Beverage Company bottling plant. “Delegates will see the bottling plant and the water saving projects that were implemented that helped us reduce our waste water and saving million of litres of municipal water” says The Beverage Company’s David Putterill. “They will also see our alternative water supply project that we have initiated to reduce our dependence on the municipal water supply by installing our own boreholes and reverse osmosis plant.” He adds: “it has been . . . 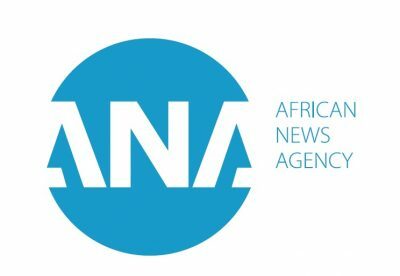 The organisers of African Utility Week and POWERGEN Africa, have announced that they have entered into a media partnership with African News Agency (ANA), a continent-wide multimedia content dissemination platform in the run-up to the event that is taking place from 14-16 May in Cape Town. ANA will also have a presence on the expo floor. The South African Minister of Energy, Honourable Jeff Radebe, is heading up a stellar line up of expert speakers and will once again deliver the opening ministerial address on 14 May. The 19th edition of this leading conference and exhibition is expected to attract more than 10 000 energy and water professionals this year. “We’re excited to partner with African News Agency” says African Utility Week and POWERGEN Africa event director Evan Schiff, “over the last couple of years ANA has been able to fill a real need in the market for the effective distribution of news, particularly across Africa.” “For ANA, African Utility Week and POWERGEN Africa is the perfect strategic forum to meet leading global and African professionals in the energy and water sectors” says ANA CEO Grant Fredericks. He adds: “our mission is to deliver authentic African content, in the form of locally produced stories, images, videos and valuable data, to the world and this event has proven to have been a consistent source of great news content and expert interviews over the years. Our strategic media partnerships across the African continent guarantee that we share and produce ground-breaking content on the hour, by the hour. We look forward to provide many of the African Utility Week and POWERGEN Africa sponsors, exhibitors and speakers with our services onsite.” International pavilions Apart from the official U.S. country pavilion at African Utility Week and POWERGEN Africa showcasing specialised technology and services for the utility, metering, renewable and water industries, country pavilions from Brazil, Canada, China, Denmark, France, . . . The opening session of the African Real Estate & Infrastructure Summit in Sandton this week will feature keynote addresses by Mr Muzi Mathema, the Gauteng Growth and Development Agency’s Acting Group Executive: Trade, Investment and Regulatory Enablement, as well as the CEO of the Gauteng Industrial Development Zone, Mrs Seipati Mangadi. The opportunities and challenges in the South African property sector, from commercial to residential, will be in focus at the summit that returns to Sandton from Thursday, 11 October. 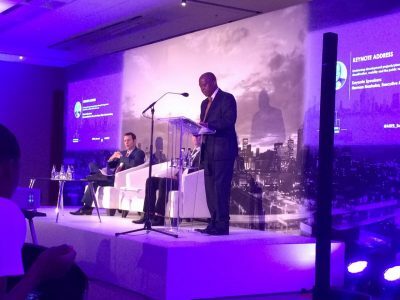 Some 200 property professionals are expected to attend this award-winning real estate event, including Johannesburg’s Executive Mayor, Herman Mashaba. The Gauteng Growth and Development Agency (GGDA) is the headline sponsor for the African Real Estate & Infrastructure Summit with the Gauteng Industrial Development Zone (GIDZ), a subsidiary company of the GGDA, also represented and speaking at the event. The conference theme is: “Examining the commercial, industrial and residential development landscape in South Africa”, and programme highlights include: Day 1 – Thursday, 11 October 2018: • 09:00-09:30 Opening Keynote: Investing in South Africa: How African capital cities are leading the way - Muzi Mathema, Acting Group Executive: Trade, Investment and Regulatory Enablement at Gauteng Growth and Development Agency At the GGDA, Mr Mathema is successfully leading the division responsible for promoting trade and exports in and out of the Gauteng Province, as well as the facilitation of both Foreign Direct Investment (FDI) and Domestic Direct Investment (DDI) into the Gauteng Province. The function serves to drive economic growth and job creation, through value added facilitation of targeted investment in strategic sectors and delivering trade linkages globally. Additionally, through engagements with public sector stakeholders, potential investors, entrepreneurs, inward and outward trade missions, he is tasked to strategically . . . Affordable housing, mixed use development projects and the impact of new technology and the Internet of Things on the commercial, industrial and residential landscape are just some of the topics of discussion on the future of the South African property sector at the upcoming African Real Estate & Infrastructure Summit that returns to Sandton from 11-12 October. Some 200 property professionals are expected to attend this award-winning real estate event. Programme highlights and speakers at the African Real Estate & Infrastructure Summit include: • Panel discussion: The Affordable Housing Conundrum: How do we make affordable housing more attractive to investors? - Panellist: Harold Spies, CEO, Similan Properties, a property development company specialising in the development of security estates with homes and apartments for the emerging middle class market in Mbombela, Gauteng and PE: “While investors are looking at yield, developers have to evaluate yield drivers. 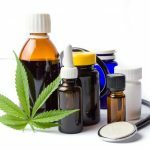 To me, the answer is in the layered approach of addressing product concept, quality, management and constant evaluation. It’s not a single thing, but a combination of the detail. When we dare to challenge the norm and strive for affordable luxury, design neighbourhoods and build communities, we have to pause at answering to experience design.” • Panel discussion: Integrated Urban Development: Investigating successful mixed use development projects with case studies: What makes these projects successful and how can we continue their sustainability. - Panellist: Brendan Falkson, Director of Rosslyn Hub, a 100-ha mixed use development at the centre of the Tshwane Auto City, in Rosslyn. The Tshwane Auto City, is Africa’s first multi-OEM auto city, based on successful auto cities in Germany, Japan and China: “The more role players that can buy into the ‘big vision’ of a project at an early stage, the more chance that this project will not only succeed, but thrive. Integrated urban . . .
Women are front and centre in this year’s speaker line-up for the African Real Estate & Infrastructure Summit that returns to Sandton in South Africa from 11-12 October this year. The programme for the summit that focuses on all types of built development to develop the future African city, has just been released and is on point for August as Women’s Month. Around 300 property professionals are expected to attend this award-winning real estate event says programme director Catherine Brassell, adding: “following two successful editions we have another insightful, strategic conference programme this year with some of the leading experts within the commercial, industrial and residential real estate sectors, many of them whom happen to be women.” Innovation is driven by diversity “Women should be respected and celebrated throughout the year and Women’s Month is a step in the right direction” says Ms Noluthando Molao, Associate Director: Construction Project Management at Turner & Townsend and speaker at the upcoming African Real Estate & Infrastructure Summit. She is the winner of several awards for outstanding women in construction and her most recent successfully completed project is the ORTIA Platform Extension Project for the Gautrain Management Agency. Ms Molao adds: “science, technology and engineering and maths are male dominated careers. As a young person in this industry you have to learn to be technically competent and work extra hard in order to earn the respect of your peers. I'm very grateful to my organisation that has global leaders that have mentored and moulded me to be technically competent. Being a tough industry, you can't wait to be given; you have to pro-active, work hard like everyone else. Innovation is driven by diversity. Within my organisation, diversity is strongly encouraged because different cultural backgrounds bring different spices to finding solutions so diversity is encouraged because you find better . . .
A brand new study into the future of African power utilities and the challenges they face has highlighted four possible scenarios of what the continent’s energy sector will look like by the year 2030. 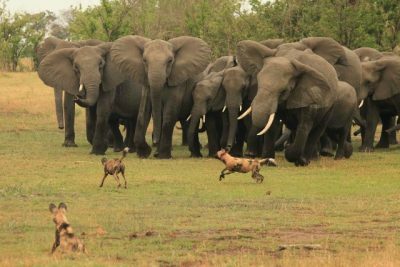 In the whitepaper, titled: “The Future of Energy and Power Utilities in Africa”, utilities are envisioned to either become “The Lions of Africa”, “Hungry Hyenas”, “An Elephant Herd” or “White Elephants”, with each scenario having different consequences for both the African energy industry at large as well as the consumer. The research project was conducted by the Gordon Institute of Business Science (GIBS) at the University of Pretoria, in collaboration with Clarion Energy, organisers of flagship energy events such as African Utility Week, Future Energy East Africa, Future Energy Nigeria and the Utility CEO Forum series - meetings and events that share ideas, encourage networking and facilitate business partnerships across the continent. 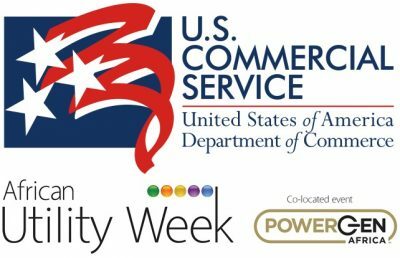 Can utilities remain relevant? “The future of power and energy in Africa is at a significant junction” says Natalie Bacon, programme director at African Utility Week, “and African states and the power stakeholders operating within this sector realise that the impact of providing universal access to affordable energy will not only lead to accelerated economic development but significant social improvements. Yet, to achieve universal access executives have many strategic decisions ahead of them.” She explains: “hitherto business as usual for utilities has meant bulk energy production and distribution through coal-fired power plans, centralised grids and public sector monopolies. However, this is quickly coming under threat from new models of energy production and distribution. The four scenarios outlined by the study will help utilities and the wider industry visualise what African utilities could look like in 2030 and try to answer the important question of how utilities can remain relevant, effective and lead the African . . . Harvesting icebergs and learning from forests on how to run a city were offered as solutions to Cape Town’s water woes on Wednesday at a power and water utility conference underway in Cape Town. 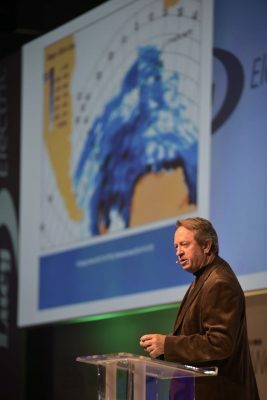 Salvage expert Nick Sloane addressed delegates at the African Utility Week conference during a keynote session on Wednesday where solutions from nature were explored to address increasing energy and water constraints. “It sounds like a crazy idea but if we break it down, it is not so crazy after all,” Sloane started his address. His address followed director of water and sanitation in the City of Cape Town Peter Flower’s presentation on Tuesday on the water crisis in the city. Flower told delegates the city still needs to reduce consumption to 450 million litres of water per day to keep Day Zero at bay. With the current usage at 500 million litres per day, the situation remains dire despite measures employed by the city to reduce consumption. According to Captain Sloane the answer may just be in “mother nature’s icebergs” – a total of 140 000 icebergs to be specific - drifting in the southern oceans and melting. Harvesting icebergs, he said, can help provide at least 20% of Cape Town’s water needs. He told delegates icebergs break off in Antarctica and hold some of the purest quality water that is between 15 000 and 20 000 years old. “About 2000 million tons of ice are breaking off every year,” he said. The idea is to use the current system to guide these icebergs towards the Cape. “So, they are coming our way, we just need to know how to deal with it.” Sloane said the iceberg can be captured in the area round Gough island and will ultimately have to be guided and moored about 40 km offshore from St Helena island to be harvested. He said they will then have to “create a saucer to capture the melting water that can deliver up to 60 million litres per day”. With milling this volume can increase to 150 million litres a day that is then pumped into tankers and . . .